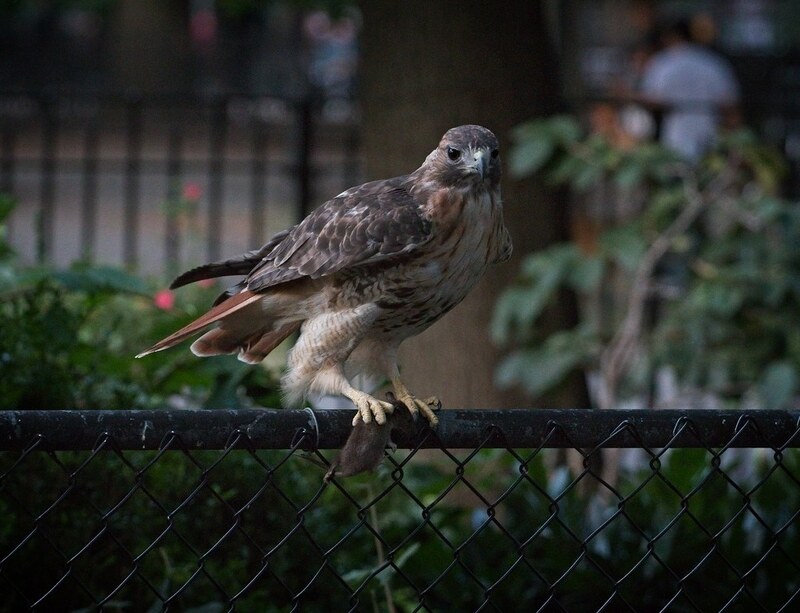 The weekend after Ten was last seen in Tompkins Square (September 10), Christo and Dora went to work building a new nest in the ginkgo tree on the east side of the park, which they previously used in 2016. 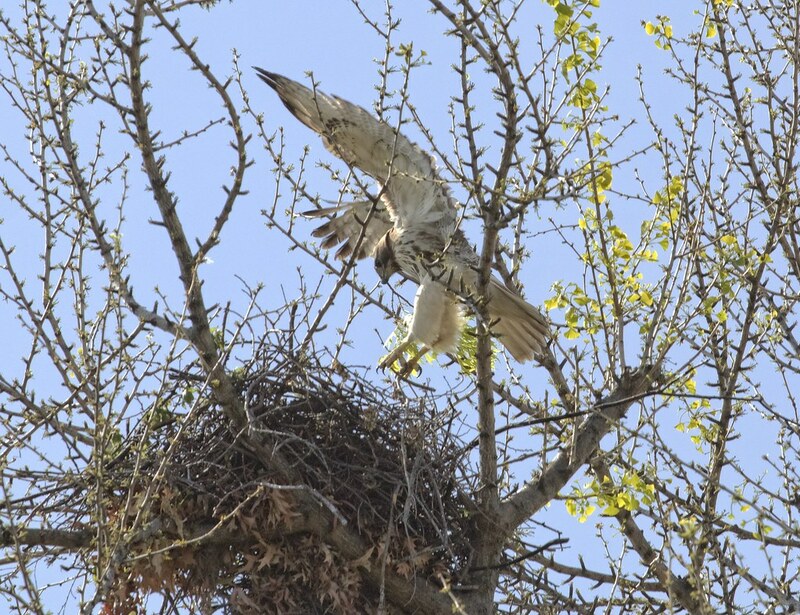 Dora bringing leaves to the nest in April 2016. 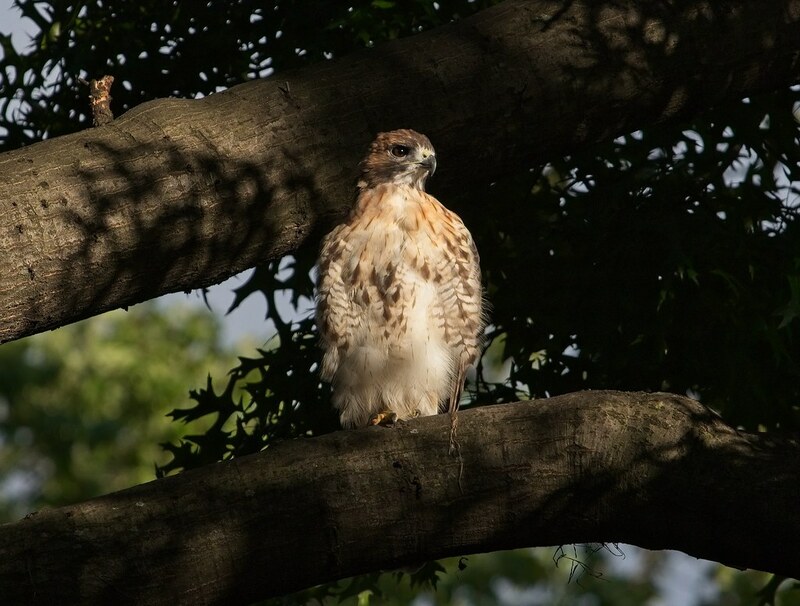 September is very early for the hawks to be nest-building, but for the last two years, they have begun the task in October, so maybe they like to get ahead. Christo and Dora are a well-bonded pair, and projects like this serve to reinforce their partnership. Or, maybe they're just bored! I hope they do decide to use the ginkgo tree again as I think it was a great location for them. The tree itself is strong and can be easily defended from squirrels. 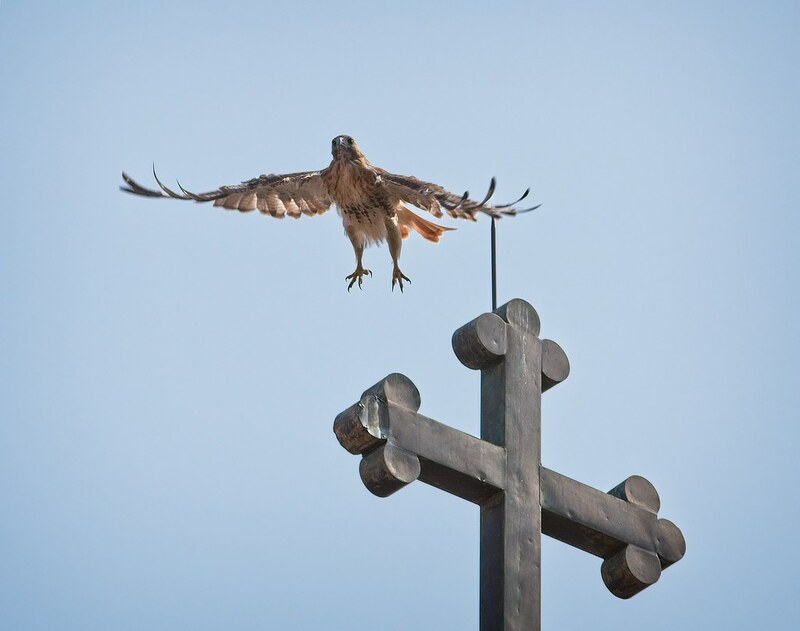 The cross at St Brigid's church is a perfect perch for the hawks, giving them a good view of the nest and surrounding area. 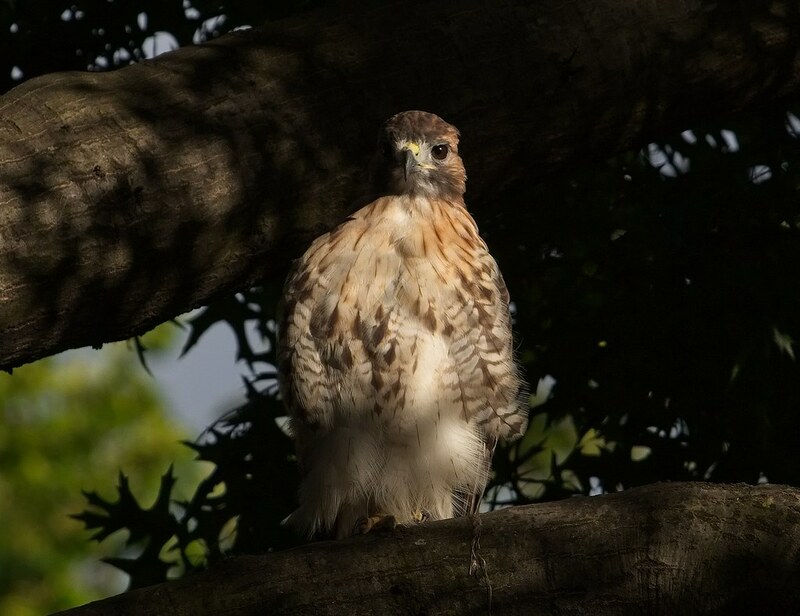 We won't know what their real plans are until January or February, but based on their past behavior, these hawks look pretty serious about this location. In the mean time, Christo has been spending a lot of time on the east side of the park. He's been perching in new locations near the ginkgo, which makes me think he's studying the area. Christo has spent the last six weeks or so molting (Dora started and finished a bit earlier than him). At one point, he looked to be missing so many feathers, I worried about his flying ability. Seconds after this photo was taken, Christo lost one of his tail feathers, making him appear even more scraggly. 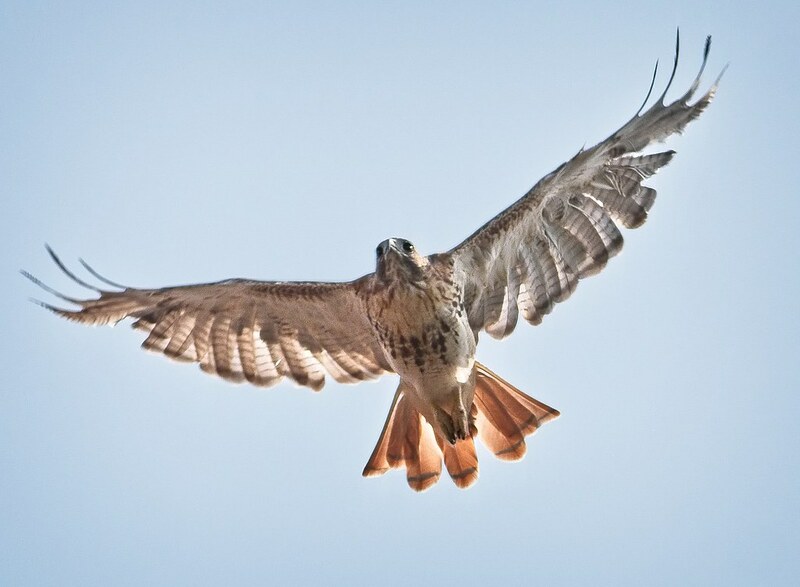 One evening, as Christo perched in a tree near the 7th Street entrance, I wondered aloud if he was able to hunt very well while missing so many feathers. Just as I finished the sentence, Christo floated down from the tree and nabbed a rat right in front of me. How could I ever doubt the Master? 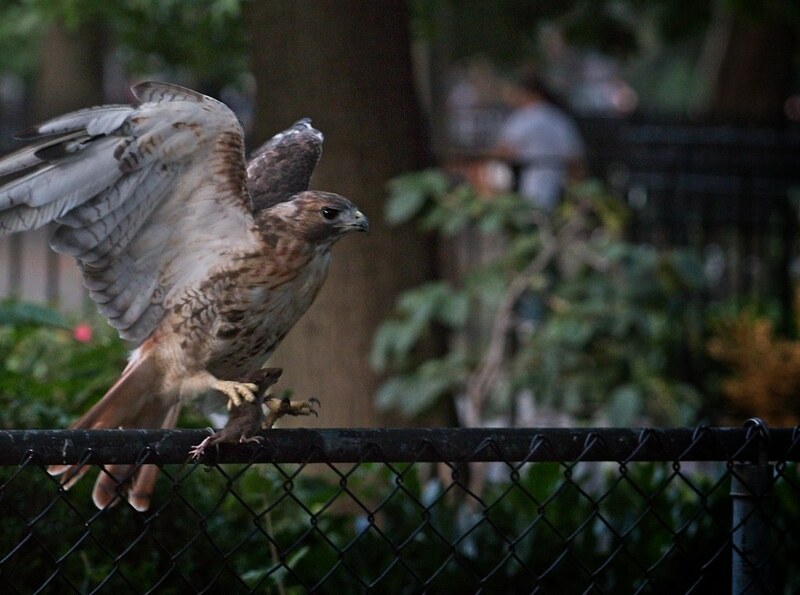 This week, Roger Paw caught Bobby, the male red-tail of Washington Square Park, in action catching a squirrel. These hawks continue to amaze me - seeing them go about their business right here among us is just something we would never seen anywhere else. We are so fortunate the hawks allow us to see into their personal lives. There is so much yet to understand about them.